It's really hard to hate a tree. I know because I tried. But as I stood in front of the beautiful cherry tree my father used to climb to hunt deer and otherwise be among nature, I couldn't find it in my heart to hold a grudge. Instead I stood there with my mother, aunt, uncle, and four close family friends, imagining that Dad was there with us. I breathed fresh country air and visualized the pre-dawn mornings Dad had spent in a tree stand on our friend Ivan's property, waiting for a mature buck to appear. 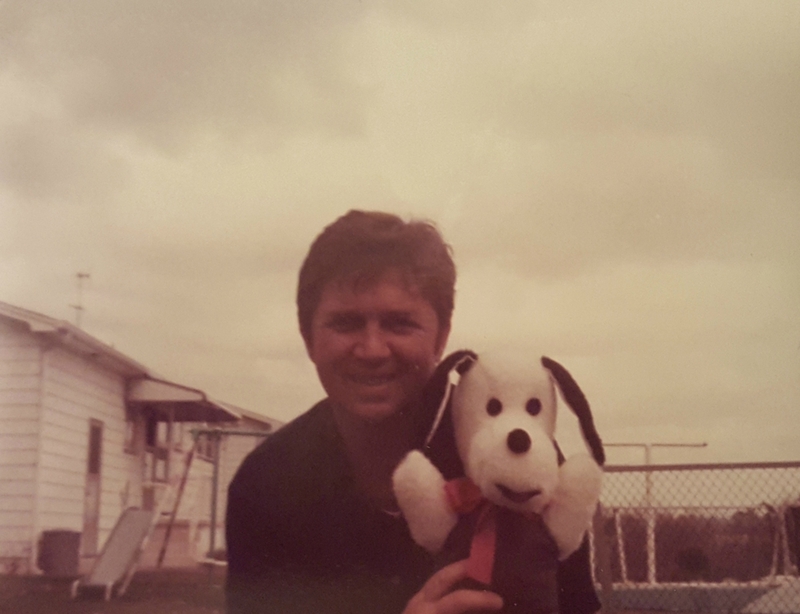 Although Dad died from complications Pulmonary Hypertension, a hunting accident he suffered back in 2007 exacerbated his health problems for the next eight years. My dad's hunting had long been a subject of father-daughter discussions and even arguments. In the part of the world where I grew up, hunting was and is the norm. But as a little girl, I hated the idea of him killing animals. Dad was an animal lover so it was hard for me to reconcile the idea that a man who befriended every dog he encountered and could identify distant wildlife while speeding down a highway could also take the life of a deer. Worse, I was scared he could accidentally be shot by another hunter. When Dad did get a deer, I hated seeing the buck hanging in the backyard until the butcher could take it, but I also felt guilty for not celebrating Dad's success as a hunter. Through the years, Dad and I must have had a dozen conversations about the ethics of hunting and how he made sense of hunting in the context of his reverence for nature. While we may have ultimately disagreed about hunting, I always appreciated the dialogue. Early in 2007, Dad underwent open heart surgery. When hunting season rolled around in November, Dad was determined to participate. It was as if he needed to show the world that he was strong again after the physical and emotional pain of heart bypass surgery and recovery. The weather was terrible for hunting. Instead of the usual blanket of snow covering the ground, helping Dad look for hoof prints, it rained the day Dad returned to hunting. My guess is that many hunters stayed home, but Dad had something to prove. He climbed the ladder leading to his tree stand, placing a rifle on the platform and returning to the ground for his other gear. But on his second ascent, the ladder failed and my father fell ten or so feet. Later Dad estimated that he spent 45 minutes on the cold, wet ground, catching his breath, before getting up, hobbling to his car and driving himself to the hospital. Keep in mind that he also drove himself to the doctor as he was having a heart attack back in 1997. There was no cell service in the woods--not that Dad reliably carried a phone. At the hospital, Dad was found to have torn his rotator cuff, fractured his wrist and most significantly, fractured a vertebrae in his back. Again, I cursed hunting. Although Dad was fortunate not to be paralyzed, his back would cause him pain for the rest of his life. He tried all manner of therapies - Eastern medicine and Western - but nothing offered lasting relief. Worse, when Pulmonary Hypertension caused him to retain fluid, the added weight increased Dad's back pain. That was the end of Dad's hunting, but he still loved the woods and spent time on the same property where he used to hunt. And so it was that we gathered beneath that same cherry tree last Saturday. The tree represented so much to us--a place that gave Dad joy in spite of the pain and memories of a life that he had loved. Our friends Ivan and Elaine who own the land had placed flowers beneath the tree before we arrived, along with a few photos of him from easier days. We cried, every one of us. Someone spoke and someone else said a prayer. We wrapped our arms around each other and then Ivan launched into "Happy Trails." And then I began scattering Dad's ashes around the base of that beautiful tree, tears streaming down my face. When it was all over, we went to Crystal Lake, another place Dad loved. As our dinner ended, there were fireworks. Dad would have loved it.